Russia’s regions are feeling their power again. In contrast to their submissive behavior over the previous decade, the 85 regional governments are displaying a newfound attitude of independence. Governors and parliamentarians are no longer hesitant to challenge Moscow on issues ranging from tax revenue distribution to changes in electoral laws and top-down pressure on local powerbrokers. In some cases, they are asking for money — but what they really want is greater independence. The first signs of resistance emerged in January. At a press conference, Belgorod’s governor Yevgeny Savchenko announced his decision to run for reelection. Despite pressure from the Kremlin to resign, Savchenko went on to win the election and retained his position. A similar feat occurred when Aman Tuleyev, the longtime governor of Kemerovo, refused to step down despite intimidation from law enforcement, arrests targeting his staff, and even a spell in the hospital undergoing surgery. The Kremlin simply did not dare to interfere in regions where both governors accumulated substantial power and popularity. In other regions, the Kremlin has attempted to stifle regional autonomy, and met with resistance. The prime example is the republic of Tatarstan, which, more than most regions, has long benefited from a special relationship with Moscow. Until this summer, the republic had a federal treaty with Moscow. But suddenly, the Kremlin refused to extend the treaty in hopes of centralizing more power over the region. Moscow has ignored requests for dialogue. Moscow went on the offensive against the regional government in Kazan. At the end of the summer, Vladimir Putin instructed the authorities to audit Tatar school curriculums. According to the republic’s constitution, Tatar is listed as an official but secondary language of the region. Nevertheless, the prosecutor’s office insisted the schools remove Tatar language courses as mandatory and make them optional. “We’ve gone too far,” said the outraged republic president Rustam Minnikhanov. Minnikhanov’s rhetoric was emotionally charged and unusually sharp. Regional leaders have refrained from such blunt statements in the past. Where is this change of tone coming from? Some of it is evidence that public pressure is mounting. 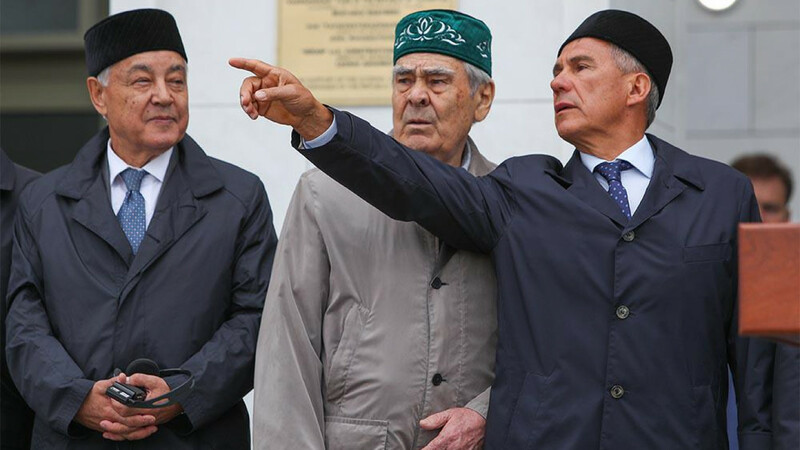 Before Minnikhanov spoke out, Tatarstan’s intellectual class — writers, scientists, artists — appealed to the president to do everything in his power to save their language rights. 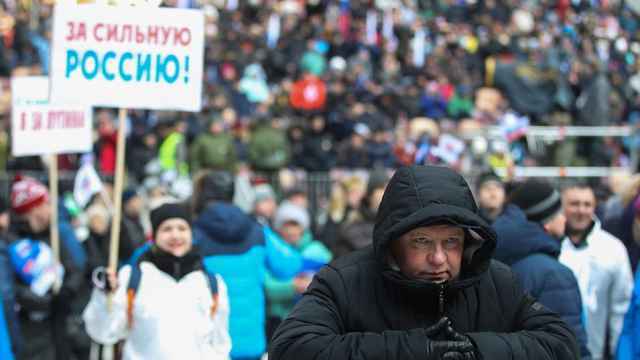 Minnikhanov met the public’s demands. As a result, a rare situation is unfolding in Russia. A section of the public made demands on the local authorities, who not only obliged, but even embraced the will of the people. Money is also at stake. Several regional governments are resisting Moscow’s encroaching financial demands. In Khakassia, local officials recently requested over 28.2 billion rubles ($480 million) from the federal government to offset budgetary losses. 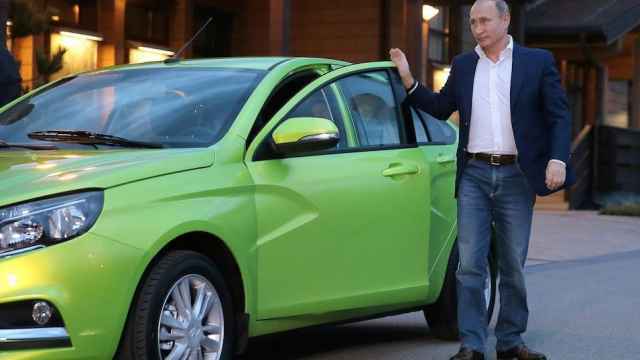 In Novosibirsk, the legislature asked Moscow for a full refund of the region’s fuel excise tax revenues. Previously, these had been left to the regions, but now Moscow transfers 40 percent of them to the federal budget. Some governors have agreed to compromise. For instance, Sakhalin previously pocketed 75 percent of its oil production revenue, leaving only 25 percent for Moscow, which wanted it the other way round. Sakhalin’s regional assembly, with the support of governor Oleg Kozhemyako, insisted on their right of veto. Eventually, Kozhemyako and the federal government did a deal to split the oil revenues 50:50. For the regions are making themselves heard. The new federal budget policies and Moscow’s appointment of outsiders as regional governors raised concerns over a changing balance of power. With regional budgets already meager, governors and parliamentarians are no longer willing to take on more loans to stay afloat. Neither are the people. The current trends share one distinctive feature. In each case, public opinion is being used to justify defiance. Regional constituencies are gently reminding Moscow that, legally, Russia is a federation. At last, people are voicing their public concerns, and the authorities are taking their opinions into account. For years, the center has attempted to silence slogans about budgetary imbalances, but discontent over Moscow siphoning off regional funds has reached a breaking point, and regional authorities are now using it as a powerful tool in bargaining with the Kremlin. President Putin would prefer to avoid these issues just as elections are approaching in March next year. In fact, the timing chosen by the regions to advocate for their rights is quite telling. They expect the center to relax its grip — otherwise, their statements will become more blunt, their actions more drastic. Yet it’s hard to understand Moscow’s strategy. For instance, even though Tatarstan has long delivered favorable results for Putin and the ruling party in elections, the current conflict between Moscow and Kazan remains unresolved. The center has attempted to ameliorate the situation by issuing subsidies and low-interest loans. This is unlikely to solve the broader dispute over tax revenue distribution. Thanks to Moscow’s behavior, the regions are making greater and greater demands. 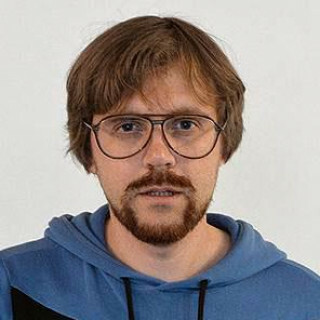 Andrey Pertsev is a journalist with Kommersant newspaper. The views and opinions expressed in opinion pieces do not necessarily reflect the position of The Moscow Times. This article was originally published by the Carnegie Center Moscow. Former tycoon turned opposition politician Mikhail Khodorkovsky has reportedly given his blessing to the new party. Navalny and Yashin say Sobchak is using the memorial as a campaign stunt. Putin found himself out of a job when the late St. Petersburg mayor Anatoly Sobchak lost the 1996 re-election. 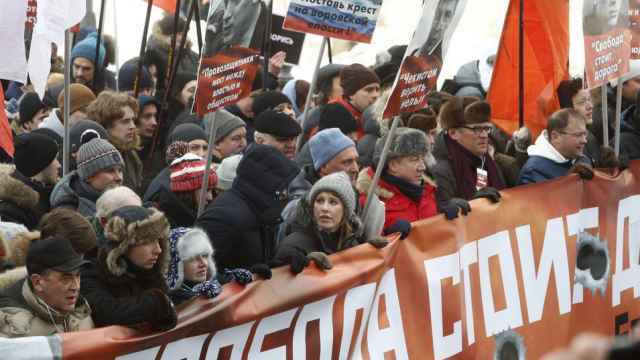 Russia’s regions have received "unambiguous recommendations” to stage rallies in support of Putin’s victory.